MI6 can confirm that Activision no longer hold the licencing rights to publish videogames based on the James Bond franchise. The development is somewhat of a surprise considering that when Activision took over the rights from Electronic Arts in 2006, it was said the deal would run through 2014. 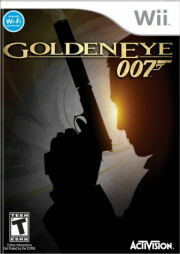 Activision have held exclusive rights to 007 games since September 2007. The first signals were noticed shortly after the New Year when 007 titles disappeared from online sales portals such as Steam, Xbox 360 Games on Demand and PlayStation Store. Activision also removed online sales of the games from their own website. 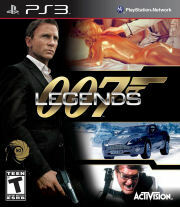 Activision's latest Bond game released in late 2012, "007 Legends", suffered poor reviews and equally disappointing sales, causing the developer Eurocom to shut its doors in bankruptcy. 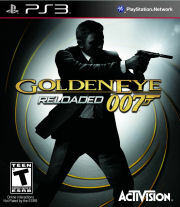 They had enjoyed success in 2010 with "GoldenEye 007" for Wii, which was respun in to "GoldenEye 007 Reloaded" for PS3 and Xbox 260 in 2011. 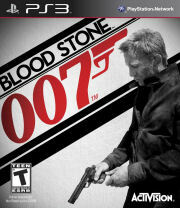 Activision also shuttered developer Bizarre Creations after "007: Blood Stone" failed to live up to expectations in 2010, as well as canceling an original storyline game starring Daniel Craig mid-development at Raven Software. 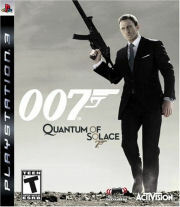 Their first game in 2008, titled "Quantum of Solace" to tie-in with the film, contained a lot of missions based on "Casino Royale" and sold moderately well (EA terminating their rights in 2006 lead them to abandon their planned "Casino Royale" game). At this time there are no indications as to which publisher, if any, will be taking over the James Bond videogame rights. But given Sony's involvement in the next two movies and their large network of PlayStation development studios, it would not be surprising if Sony Computer Entertainment was an interested party.